Sometimes a simple cleaning or basic repair just don’t cut it You will have to have your gutters replaced. We are professionals at installing new gutters and gutter guards, which protect your home. The Gutter People’s experienced team is on hand to offer advice on the type of replacement and gutter guard installation that you need. You could need a gutter guard installed if you are building a new home or if you are renovating an old building. Never underestimate how important it is to be able to properly drain water off the roof and away from the building. There are occasions when homeowners just want guards installed so that it looks a little better than their old gutters. In this case, an installation is carried out to update the look of the home. The range of styles and materials available is much wider than it used to be, so you get more choice when you do want to have new gutter guards installed. Debris-free gutters: You won’t have to deal with worrying about leaves, sticks, pine needles and other items getting stuck in your gutters anymore. These guards keep unwanted items and stagnant water from building up in your gutters. Lessens damage: Guards lessen damage to your home from high winds, driving rain, heavy snow and sheets of ice. Not only does it minimize harm from the elements, but it also reduces the damage done by bugs, birds, squirrels and other critters. Durability: Gutter guards stand up to the task under pressure. They will stand in place and do their job even if they face 110 mph winds. Easier, cheaper repairs: Having guards in place lessens the need for repairs. If maintenance needs to be performed on your gutters, it will be easier and cheaper for you. Prevents problems: By keeping water out of your gutters, these guards prevent problems such as rusting and stagnation. 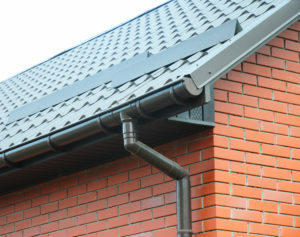 Better Health: Gutters that are damp and poorly m aintained can trigger conditions such as asthma. Gutter guards get rid of the dampness and other factors that contribute to these detrimental issues. Gutter guard installation is a relatively easy job for the professionals, and we are only a phone call away. If you have any questions at all, you can speak to a member of our experienced team, who will be happy to help. We are a dependable company with a solid reputation for providing quality service and products. Our team is happy to answer any questions that you may have about any aspect of our service. Go ahead and call us today for a free, no-obligation quote and find out how we can help keep your home looking great.